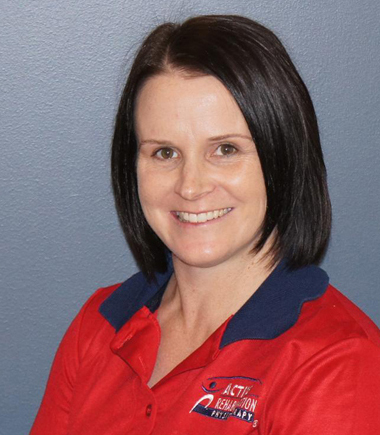 It was in 2007 that we were fortunate to have Melanie Wells join our Active Rehabilitation Physiotherapy Team. Melanie came to us with a background in marketing and communication, having previously worked in the IT and security industries. She also brought with her a wealth of experience in working within and leading teams. As Co-Captain of the Australian Women’s Hockey team, the Hockeyroos, Melanie led her team to win a Gold Medal at the Melbourne Commonwealth Games in 2006 and a Silver Medal in the Women’s Hockey World Cup. She has competed in the 2004 Athens Olympic Games and the Beijing Olympic Games in 2008, as well as many other national and international competitions. Melanie has had a lifelong passion for the sport of Hockey. After the Beijing Olympics, Melanie was honored with selection in the World All Star Hockey team, being one of only two Australian women to be named. As one of our loyal senior administrators, we were very pleased to have Melanie re-join us part-time, after the birth of each of her daughters. With her delightful personality, and her diligent and highly organized approach to her work, Melanie is well loved by our team and the patients. She enjoys a challenge and provides leadership to our team through her calm, reliable example. We are honoured to have Melanie as part of our Active Rehab team.